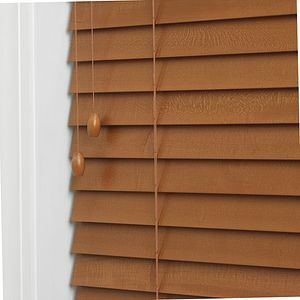 The arboreal beauty of sustainably-sourced Graber Wood Blinds adds a rich warmth to any room. 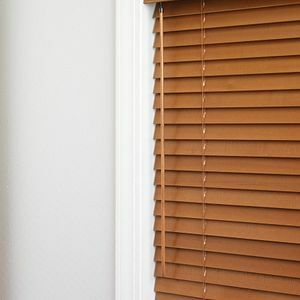 Meticulously crafted from North American hardwood in rustic and modern paints, stains, and finishes, Graber Wood Blinds add natural insulation and character to your home. The green philosophy continues at the Graber wood processing plant where recycled sawdust and wood shavings are used to generate the heat required to dry lumber and warm the facility. 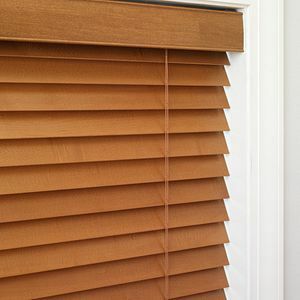 Experience effortless, convenient window treatment control. Cordless options are the safer choice for homes with children and pets. 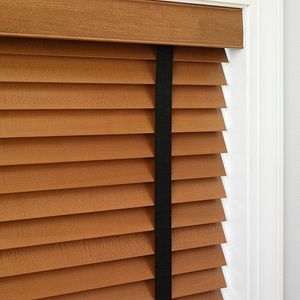 Take control of your space with options that offer additional light blocking and privacy. Strips of colorful fabric align with the route holes on each slat, protecting privacy, and allowing less light to slip through.